Becoming a highly spiritual Christian needs to be the goal of every believer. Love in itself is an action and should be practiced habitually by everyone. We through love should be fervently seeking the Lord, and cherishing one another. We must be constantly portraying the heart of God toward one another on a habitual basis. In this book we will distill the best habits down to the seven most productive ones. If practiced properly, they will carry over into every other category of life and drive you to become a highly spiritual Christian. Very interesting book, while there are numerous books out there concerning the habits of man which will change his life for the better, and each one of those books makes a good case for their list of habits to pay close attention to. This book is no exception…it make very good, strong biblical arguments for each of these habits – in order to change your life! This book which is filled with trials & blessings and in the end placed a tug in your heart to do something to aid others in need. All to God’s glory, all for the triumph over trial upon trial. This book shows that until the birth of Jesus Christ, God revealed Himself to humanity predominantly in the form of wind and fire. God ratified the Covenant with Abraham in a flame and a flaming bush commissioned Moses to start the Jewish Nation. The Wind and Fire protected, led, and comforted the Old Testament church in the wilderness. And most profoundly, the rushing might Wind and tongues of Fire started the New Testament Church at Pentecost. Just like He did for the Children of Israel in the wilderness, the Wind and Fire directs every detail in the life of the Church, and He does this through seven unique works expounded in this book. Although, since the death of and resurrection of Jesus the Christ…Our Lord and Savior, He has revealed Himself to us in very different and personal ways! By indwelling within each of us through the Holy Spirit. Unfortunately, there are times where we actually stifle the Spirit via our enactment of our freewill. This is why we must be willing to submit ourselves to Jesus. Being submissive is not being weak, but it is a showing of strength through faith in something far bigger than ourselves. This was an awesome book with great explanations on what and how to do certain things. To enhance your, or our, abilities to submit our will to God, Christ, and the Holy Spirit! 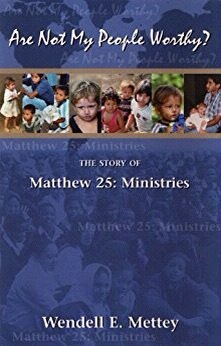 A valuable resource for anyone within the faith! Is prayer really that important? Doesn’t God know what we need? Do you look forward to praying-or dread it? It is never a mistake to pray, but we do need to understand fully what prayer is and its role in our lives. Learning to Pray looks at the incredible privilege we have of speaking directly with our Creator at any time. God wants to be in fellowship with us. Learn to speak to God through prayer, offer him praise and thanksgiving, and listen for an answer. Talk to God and get to know Him better as you journey on life’s path. The Journey Study Series is based on Billy Graham’s best-selling book The journey, the culmination of lifetime of spiritual insight and ministry experience. Each chapter explores the joys, triumphs, and conflicts we all encounter on our journey through life. Each chapter includes thought-provoking questions, commentary, Scriptures, and insights to help you on life’s journey. Each lesson teaches the secret of walking with God on life’s path. Understanding God’s truths will make life’s journey easier and let Him fulfill His promise to lead you home. A very good addition to the book The Journey: Living by Faith in an Uncertain World by Billy Graham it truly helps one to understand. Also, it is quite an aid in delving into the very essence of prayer by routing out the bare bones meaning. Everything always comes back to the basics. The book of Revelation should be of intense interest to today’s Christian. It describes not only the persecution that originates from Satan, but also announces the day when God will intervene and cleanse the earth. This is definitely something to look forward to if we are right with him. Not so much for those living for themselves. This is but one resource to allow the one who studies biblical revelation to gain some answers into the meanings of this biblical book of finality and a new beginning. Well written interestingly equipped with much background; however, I also felt the appendices were lacking. But do not let that detract from the wealth of knowledge that could be gained by the remainder of the book. You must judge for yourself.